Is the Spider-Man Game the Start of the Superhero Reign? Amazing Fantasy comic #15 will mean very little to the average reader, though to the insightful comic fan it’s widely remembered as the inception of your friendly, neighborhood Spider-Man. Co-created by Stan Lee and Steve Ditko in August of 1962, nearly 57 years later the character is more established than ever before. Since his on-screen debut in 2002’s Spider-Man, Peter Parker has gone onto make just shy of 5 billion dollars in six films alone ($4,858,774,307 to be exact – via thenumber.com). This sits the blockbuster in 9th position of the highest grossing film franchise of all time. So, it’s fair to say that Spidey brings in the big bucks. September 7, 2018 will see Insomniac Games (Known for Ratchet & Clank, Spyro, and Sunset Overdrive) bring their interpretation of the web-slinger exclusively to the PlayStation 4, alongside what is expected to be ridiculously strong sales, regardless of critical reception. With Sony looking to utilize Spidey as their poster boy for the foreseeable future, would one of their competitors like to get in on the action? Analyzing figures shows that Spider-Man as an IP is the most valuable superhero by quite some length – reportedly bringing in an estimated $1.3 billion a year. With the numbers to back them up, Sony look to have made a wise move. As the first teen superhero not to be a sidekick, Spider-Man is truly in a league of his own. At a record of 15 billion dollars in cinema alone, the Marvel machine continues to make hand over fist, surely Microsoft and Nintendo want a piece of the action? As we lead up to E3 2018, more pieces will start to take shape. 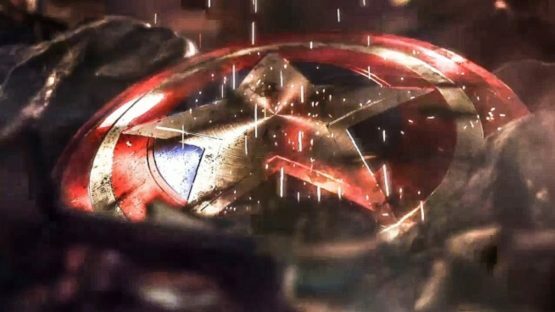 Among this, it’s expected Crystal Dynamics’ Avengers project will reveal its true self. Last January a cinematic trailer was shown teasing the team-up, but nothing has emerged since. No announcements, no gameplay, nothing. On top of this, rumors have circulated that Microsoft have swooped in and claimed the heavily-anticipated title as an exclusive for the Xbox One – a huge get for the company, if true. The Batman Arkham series is another property that undoubtedly will be returning in one form or another (see my previous feature tackling what Rocksteady Studios is working on for further clarity), showing that the now normal regime of releasing multiple superhero movies a year – à la Disney, Fox, and Warner Bros. – could start to come to fruition in the gaming landscape. It’s near impossible with the development time to see more than one game from a single company every year on something as large as Spider-Man, yet with numerous establishments working on different properties, its actually become standard see an average of 3-4 major video game releases devoted to the genre in a single calendar year. Taking 2017 as an example, we can see that five major video games revolved around the superhero genre released: Injustice 2, Marvel vs. Capcom: Infinite, LEGO Marvel Super Heroes 2, Tellatale’s Guardians of the Galaxy, and Batman: The Enemy Within. Five games, yes. However, two are fighting games and two are point-and-click adventures. LEGO is open world to an extent but overall is an annual anomaly. LEGO never can reach the realism and heights of what Insomniac’s Spider-Man hopes. Not one of these titles is devoted to that world’s mythos on the same level that Spider-Man intends to and the Arkham series previously achieved. There is nothing wrong with these undertakings (specifically Injustice 2 particularly performed well in terms of reception and sales) but compared to Spider-Man and Batman, you can’t help but feel these projects are smaller scale. Peter Parker (and to a lesser extent Miles Morales) are household names known for swinging through the streets of Brooklyn. The question is, does a studio want to take a risk on a character that may not pay off? Spider-Man and Batman are both bankable. What about Iron Man without Robert Downey Jr. at the helm? Wonder Woman without Gal Gadot in the lead role? 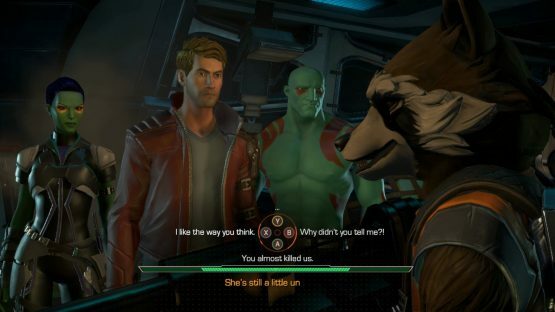 This was the problem Tellatale’s Guardians of the Galaxy faced for many players. In the absence of Chris Pratt, Zoe Saldana, Bradley Cooper and more, the Guardians name suffered and didn’t’ transcend as well – even with voice-over veterans like Nolan North in the driving seat. Batman with no doubt return in some way (likely through WB Montréal) and the Avengers will re-appear in the next year or so but who else could be on the horizon? Nintendo are known for their innovation, polish and creativity. They also have by far the most mascots at their disposal with Mario being the second most recognizable figure in all of media; only second to Mickey Mouse. The thought must have passed through their brain once or twice. A studio of theirs that surely would be more than adequate to take on the genre is Austin, Texas-based Retro Studios. Predominantly recognized as the masterminds behind reinvigorating the Metroid and Donkey Kong Country series, Retro have been quietly working away on a project since 2014 with no indication of what it entails. Is there a chance that after seeing the likes of The Avengers, Arkham, etc. that Nintendo will decide to snag a character for themselves? If history is anything to go by, then everything points to a no. Nintendo concentrates on their core characters and rarely steps out of their comfort zone; that is, they did until the Switch launched. The first year of the Switch was nothing but a rousing success. Nintendo took risks which paid off. One of these risks – that many expected to fall at the starting line – was Mario + Rabbids Kingdom Battle that paired the plumber up with the unbalanced Raving Rabbids. Could others assemble for the portable console? Alternatively, and more probable is Nintendo will concentrate on establishing their own unique spins on the genre, something more in line with 2013’s The Wonderful 101. Plans are normally far down the line before the public hears of any news, so if we’re going to see a Superhero on Switch, its certainly not going to be for a fair amount of time. Unlike Marvel – that can produce multiple films a year without breaking a sweat – a video game of similar magnitude can take 3 years minimum to create. Going forward, most developers will be aiming for a sequel or two to help the studio financially continue. Overhauling a game engine takes a long time and studios simply cannot afford to spend 3-5 years on a brand-new engine devoted to one game. A trilogy is at least expected for the endeavor to be financially plausible – this is the sad truth of the video game industry. Devoting years to a singular product that ultimately becomes a flop spells studio closure. To say it’s a tough business is an understatement. Without a single entity running the show behind all products – one that most importantly the public trusts – is one that is not viable for the current market we live in.